Please fill out the form below and we will send confirmation shortly. Your reservation is not confirmed until you recieve a confirmation email. Reservations cancelled or changed prior to noon the day before check-in are subject to a $10.00 cancellation/change fee on the credit card number provided. Reservations cancelled or changed after noon the day before check-in are subject to one night’s fee on the credit card number provided. Management approval is required for exceptions to this policy. If a valid credit card number is not provided your reservation will not be guaranteed. Check-In time is 3:00 p.m. and Check-out time is 11:00 a.m.
Nightly rates include four people per site. There may be an additional charge of $5.00 per person per night. Rates include up to two pets. Please contact us directly about additional pets. If you will be checking in after 7:00 p.m. please contact our office by telephone the day of the reservation at 1-867-993-5142 to be provided with your site number. 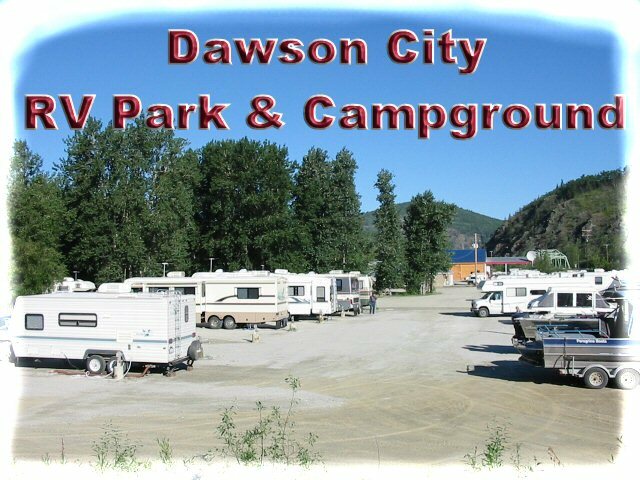 Copyright 2016 Dawson City RV Park & Campground. All rights reserved.